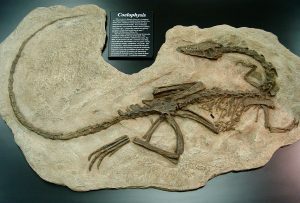 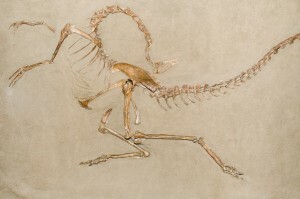 As a rule, vertebrate fossils are not discovered as neatly connected skeletons that were tranquilly buried. 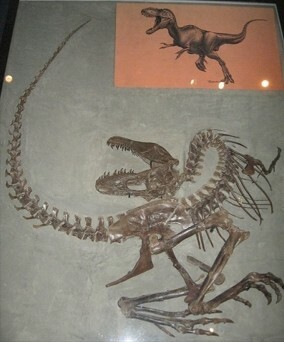 This is certainly true for the dinosaurs, most of whose bones are found disarticulated (not connected in such a way as to demonstrate normal relationships), dispersed over a broad area, or only preserved in small part. 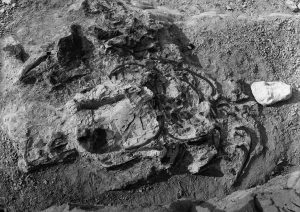 A similar phenomenon to what we have discussed above involves the question of why the massive, armored Ankylosaurus dinosaurs are almost always found fossilized lying on their backs? For example, 26 out of 37 fossil ankylosaurs discovered in Alberta, Canada, were found upside down. 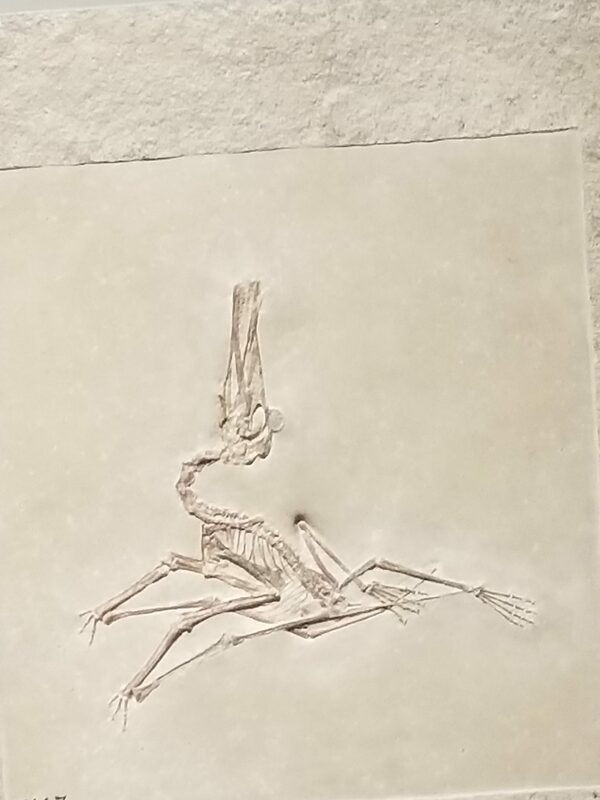 Paleontologists have puzzled over this belly-up death pose since the 1930s. 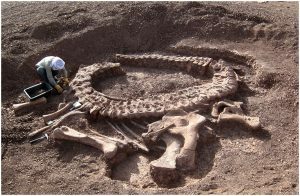 Now a new theory presented in 2017 at the Society of Vertebrate Paleontology meeting in Calgary, Alberta suggests this happened because of a flood mechanism. 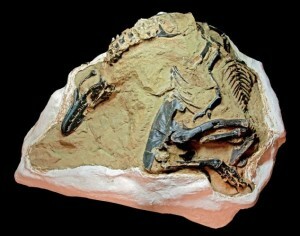 “We used computer modeling to show that ankylosaurs likely flipped over due to a phenomenon called ‘bloat-and-float,’ where the gases that accumulate in the bloating belly of the carcass cause the animal to flip over while suspended in water,” states researcher Jordan Mallon, a paleobiologist at the Canadian Museum of Nature in Ontario, Canada in an interview with Live Science. 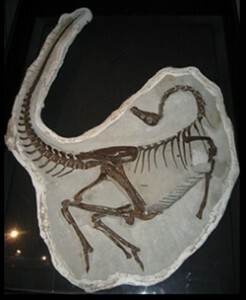 The computer model showed that when an ankylosaur’s center of gravity (a downward force) didn’t match its center of buoyancy (an upward force), a disturbance such as a breeze, current or wave could cause the rotund, bloated animal to turn upside down. 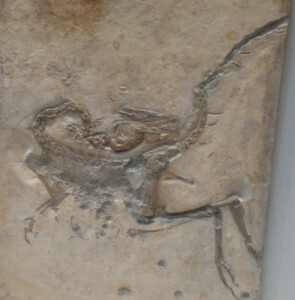 After some time it would sink that way and get buried and fossilized. 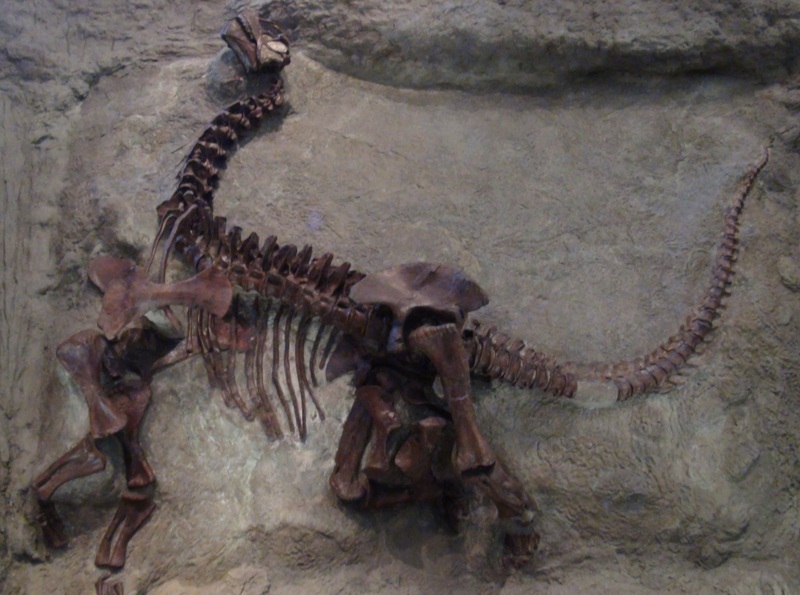 There is a general agreement that most of the fossilized dinosaurs perished in a watery, muddy flow. 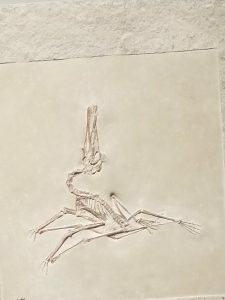 “Recreating the spectacular pose many dinosaurs adopted in death might involve following the simplest of instructions: just add water.” (Switek, Brian, “Is water the secret of the dinosaur death pose?,” New Scientist, Nov. 23, 2011.) This scenario really is essential to rapidly bury them and preserve their remains. Those who don’t believe in the Genesis Flood will postulate local catastrophes like mudslides, swollen rivers, or flash floods. But if these are the mechanisms that formed the vast dinosaur graveyards, how come today’s rivers and local floods don’t ever form huge deposits of fossils like what we see in the dinosaur fossil beds? ← Previous: What Killed the Dinosaurs?